Our courses feature hands-on tasks and real-world scenarios-in just a matter of days, you'll be more productive and embracing new technology standards. 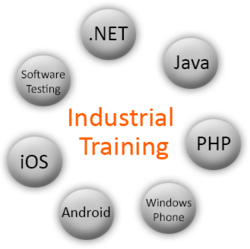 The goal of our training program is to provide the world with skilled human resources who are competent to practice and provide solutions in an ever-changing technology world. To attain this goal, OSR Business And Technology uses a robust and well-researched proven training model. Trainees are exposed to a wide range of professional role models, mentors, and trainers while in the process they develop a professional identity that is uniquely their own. We believe that self-awareness and the ability to continually reflect on one's own personal dynamics are critical to the development of effective professional skills. Towards this aim, trainees may be asked to engage in a process of personal exploration with their supervisors and trainers. In this process, mentors will encourage trainees to discuss and reflect upon how their experiences, personal qualities, and interpersonal dynamics related to their professional functioning. Mentors take care to create a training relationship characterized by trust, safety, and respect. They also take care to differentiate between training and supervision. As such, the focus of the discussion is always directly related to the trainees professional functioning and development. Since we always believe that each trainee bring with them their own unique skills and abilities, training staff recognizes and encourage them to develop and enhance these while sharing with other trainees. During the training period, our mentors provide an appropriate, graded sequence of experiential learning activities. Trainees are expected to attain increasing levels of autonomy and complexity in their progression from the role of student to the role of entry level professional by the end of the training where as our corporate training programs make the experienced profession filled with new passion to face the next project challenge with full confidence. Part time vocational training are quite popular among the students, as they could get the work experience, while undergoing the education too. Some institutions offer flexible timings, normally they decide on the schedule after discussing it with the participating candidates. Even the venue of the vocational training could also be selected by the candidates in some institutions. There are also programs for housewives, who could take the training at their convenient timings and the vocational training is also offered leisurely for the old people.